Morgan Stanley has reportedly followed Goldman Sachs and Santander in leaving the R3 blockchain venture. Morgan Stanley has become the latest bank to drop out of the R3 blockchain working group, according to reports. Reports from the Wall Street Journal suggest the bank does not plan to renew its existing membership in the venture. A spokesperson for Morgan Stanley declined to comment. The development follows the departure of two banks from the venture in successive days. On Monday, R3 founding member Goldman Sachs confirmed that it was not renewing its membership with the blockchain working group as it no longer aligned with the bank’s technology strategy. Santander also confirmed yesterday that it too was leaving the project but would continue to concentrate on its other blockchain initiatives. 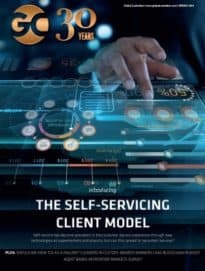 R3 was founded in 2014 by nine banks including Goldman Sachs, Credit Suisse, JP Morgan and others with the goal of applying blockchain technology to commercial markets. Earlier this year, R3 revealed that Brazilian exchange group BM&FBOVESPA and China Merchants Bank (CMB) had joined its blockchain partnership. Global Custodian is awaiting a response from R3 at time of publication.